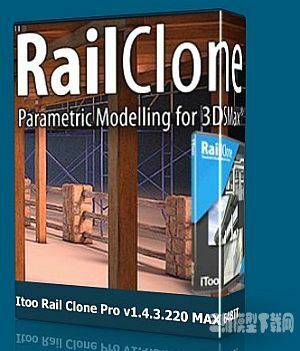 RailClone is a 3DS Max plugin forparametric modeling based on custom geometry parts, definable by the user, and a set of construction rules. This new concept of modeling lets you to build complex and realistic structures for Architectural Visualization, Civil Engineering and Interior Design. Download RailClone Lite, the free version of the plugin and use it in your personal and commercial projects. If you are new to RailClone, see the Getting Started guide for videos, tutorials and more help in your first steps using the software.